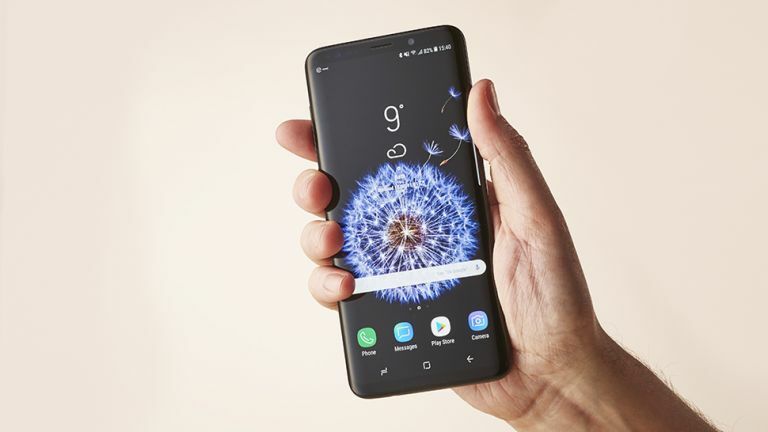 It's been another busy year for Samsung phones, with the Galaxy S9 and the Galaxy S9 Plus now joined by the Galaxy Note 9 at the top of the Samsung tree – and that's without mentioning any of the budget or mid-range devices the company has launched this year. Here we're going to focus on the two biggest, most powerful, and most expensive handsets that Samsung unveiled this year: the Galaxy S9 Plus and the newly launched Note 9. How do the specs in each one compare, and which one should you be buying? Read our guide to find out. There isn't much to choose between these two excellent handsets at all in terms of design, with both using an all-glass, minimal-bezel approach. The Note 9 does show a slightly different look around the back, with its dual-lens camera set up in a horizontal rather than a vertical configuration. The screen size is just a touch bigger on the newer phone – 6.4 inches rather than the 6.2 inches of the Samsung Galaxy S9 Plus. The Note 9 is also going to be available in more colours as well: black, blue, copper and lavender. One key difference with the Note 9, as every year, is the inclusion of an integrated S Pen stylus that slides into the frame of the phone when it's not in use. This year the S Pen comes with a few extra party tricks, including video playback control. Coming just a few months after the launch of the Galaxy S9 Plus, it's perhaps not surprising that the Note 9 is following the same spec blueprint very closely. Specifically, that means an Exynos 9810 or Snapdragon 845 processor inside, depending on your region. The Note 9 ups the ante with RAM and storage though. You can get up to 8GB of RAM and up to 512GB of storage space, if you want, whereas the S9 Plus tops out at 6GB and 256GB respectively. Storage can be expanded via microSD card in both cases. The camera tech inside the Note 9 matches the dual-lens 12MP + 12MP rear facing snapper found on the Galaxy S9 Plus. It's also rumoured to have the same dual aperture technology, so you can adjust the amount of light getting into the lens. Aside from the S Pen that we've already mentioned, the Note 9 and Galaxy S9 Plus are very similar in terms of features. Bixby 2.0 was previewed alongside the Note 9 handset, though it will roll out to the S9 Plus as well in the near future. Both phones offer wireless charging, fast charging, a USB-C port and a 3.5mm audio port, and both come with an IP68 rating for dust and waterproofing. Neither phone will have an in-screen fingerprint sensor though – this will have to wait until next year. That S Pen side, the Note 9 is quite a minor upgrade over the Galaxy S9 Plus, and it's not surprising that there are rumours of Samsung dropping one of the handsets next year. We'll have to wait and see what happens in 2019. As you can see from our comparison, there isn't a lot to choose between the Samsung Galaxy Note 9 and the Samsung Galaxy S9 Plus. It all hangs on whether you want to spend a little bit more money for a little bit more screen space. The key selling point for the Note 9 is probably going to be the S Pen – and Samsung has gone all out with the included stylus this year. If you think you'll find its remote control and shortcut capabilities useful – and you enjoy doodling on the screen too – the Note 9 could be the phone for you. Really though you're going to be very impressed no matter which handset you opt for. It's been another excellent year for Samsung phones, and we're looking forward to what the company comes up with for 2019.